As you all know that I’ve been fully Unreal Engine since the moment it came to public more than a year ago. And also know that I made lots of tutorials and several UE books. 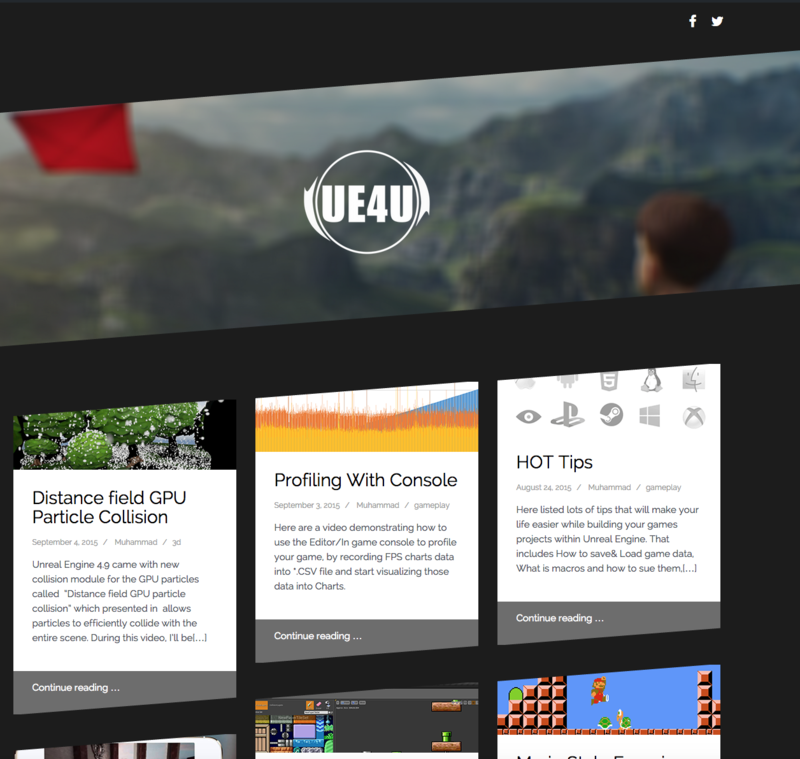 Now I’ve decided to go even further and collect everything at one place UE4U.XYZ and make sure to weekly release new tutorials. The main focus of the website is to make free tutorials that covers all the tricks and hows of Unreal Engine. And very soon (before the end of 2015) there will be several series running that demonstrating how to build gameplay mechanics, boss-fights, combats, AI,…..And all the juicy stuff that gameplay engineers do everyday! Now… after almost a year of the hard work, I’ve delivered all the “3” Books (only 2 going to be published now), and my games are safe with players… I have enough time alongside to my job to make tutorials and continue on the plan! If you have any ideas or requests of tutorials don’t hesitate, follow on Facebook or Twitter and as there!